A Question for B2B Lead Generation Marketers: Are you Competitive? There’s always room for competition in any business undertaking – even in industries monopolized by a business giant, there should be at least one sole competitor. But there’s a difference between being competitive and aggressively assaulting your competition. 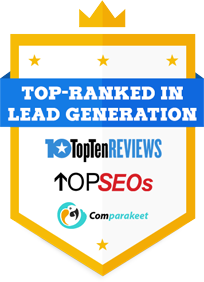 As lead generation marketers, how competitive are you? There have been a lot of stories that tell us how being too competitive could backfire in the long run. You wouldn’t want your campaigns to rely on dirty tactics and just focus on getting ahead rather than improving your own offers. There has to be a delicate balance between monitoring rivals and minding your own business – no pun intended. So when is being overly competitive justified? When your competitor is famous. You can go ahead and “try” to topple down big names because chances are they won’t retaliate even though they have more to lose. You have what it takes to be unique. Evaluate yourself. If you have absolutely no advantage whatsoever compared to your competitors, then you also have absolutely no right to be aggressive in name-dropping them in any of your campaigns. Before you get your hands dirty, make sure you have the ability to back it up. You’re the new kid on the block. If you’re a freshly built company, then people will forgive you for being aggressive and cocky. Make sure, though, that your marketing message is compelling enough to make them even consider listening to you. If you are to mention seasoned competitors, focus on the fact that you are there to embrace modernization and that you are able to meet the rapidly-changing demands of your industry. Capitalize on the old-school, new-school concept. When a spark of opportunity arises. Let’s say your competitor decided to increase the prices of their products, or there have been public outcries of their poor quality of service, or they have recently made a move that drew flak among critics. This is an acceptable opportunity to temporarily shift your campaign’s focus on uplifting your brand’s name in direct contrast to your competitor who is currently under some bad light. But be careful: being too harsh can also draw negative attention toward yourself, which would be counter-productive to your lead generation goals. https://www.callboxinc.com.au/wp-content/uploads/2014/05/02_A-Question-for-B2B-Lead-Generation-Marketers-Are-you-Competitive_DONE1.jpg 200 605 admin https://www.callboxinc.com.au/wp-content/uploads/2019/01/callbox-logo.png admin2014-05-14 07:46:262017-04-19 07:39:49A Question for B2B Lead Generation Marketers: Are you Competitive?